Talk about a beautiful campus. 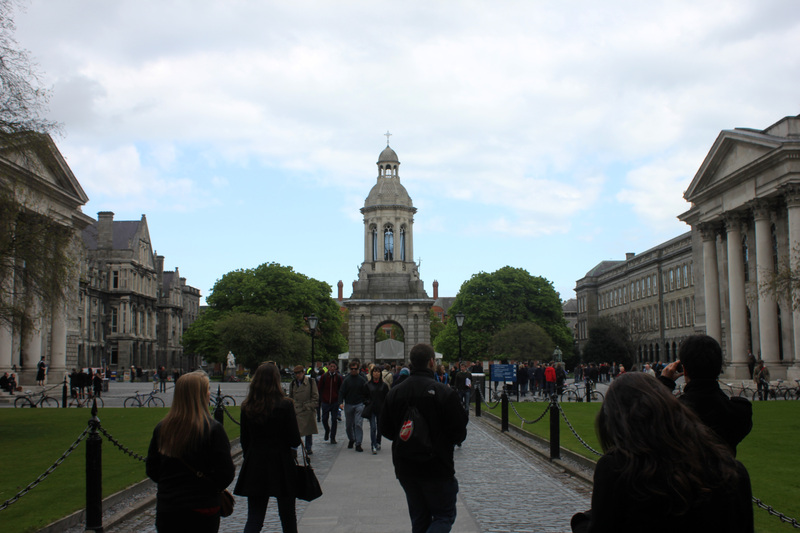 It’s not too often that a university is one of a capital city’s top attractions, but in the case of Dublin’s Trinity College, it makes perfect sense. 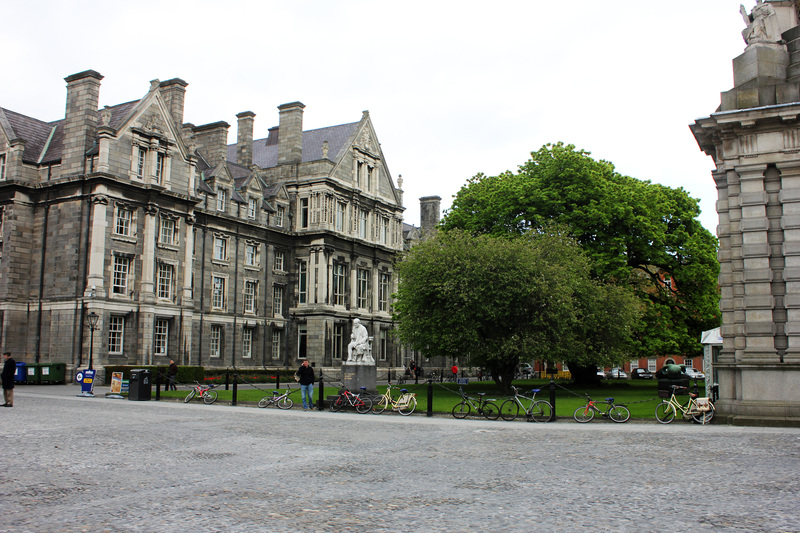 Located right in the center of Dublin, Ireland’s oldest university remains a prestigious academic institution to this day, and it’s got eye candy to boot. 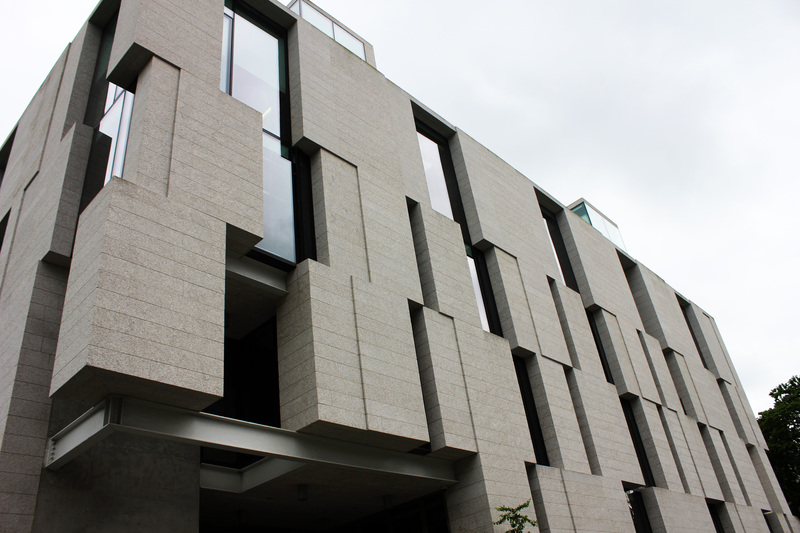 Remarkable works of architecture comprise the campus grounds as beautiful buildings (new and old) surround alluring courtyards, statues, trees, etc. 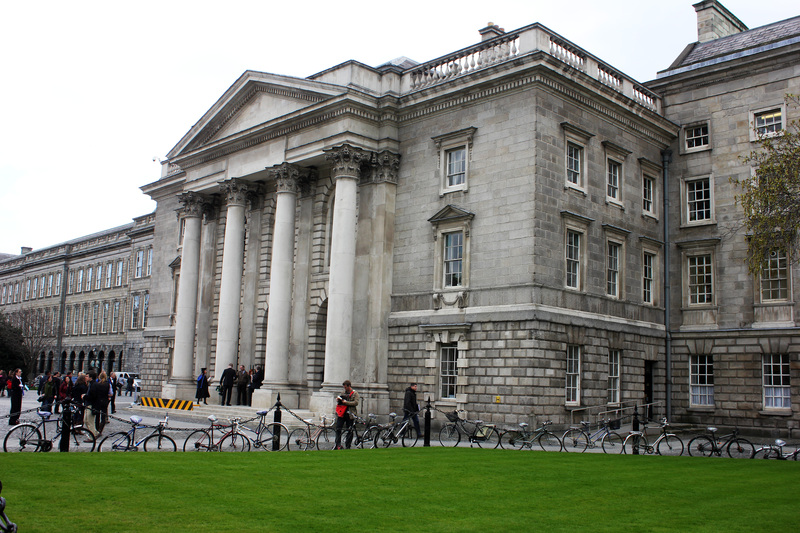 Notable Trinity alumni include the likes of Oscar Wilde, Bram Stoker, and Jonathan Swift, to name a few. University staff members wander the campus wearing cloaks, the style of which depends on their position. It’s almost haunting. 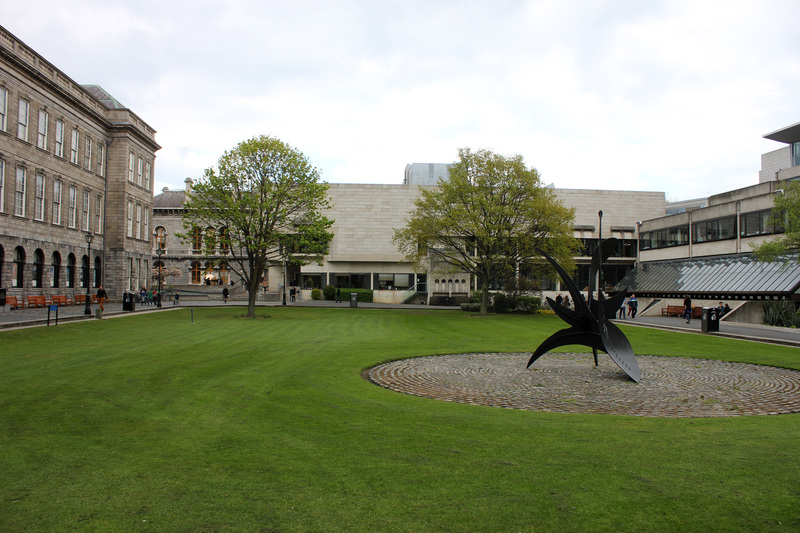 Regardless, the big attraction at Trinity College is the Book of Kells, located in the Old Library. 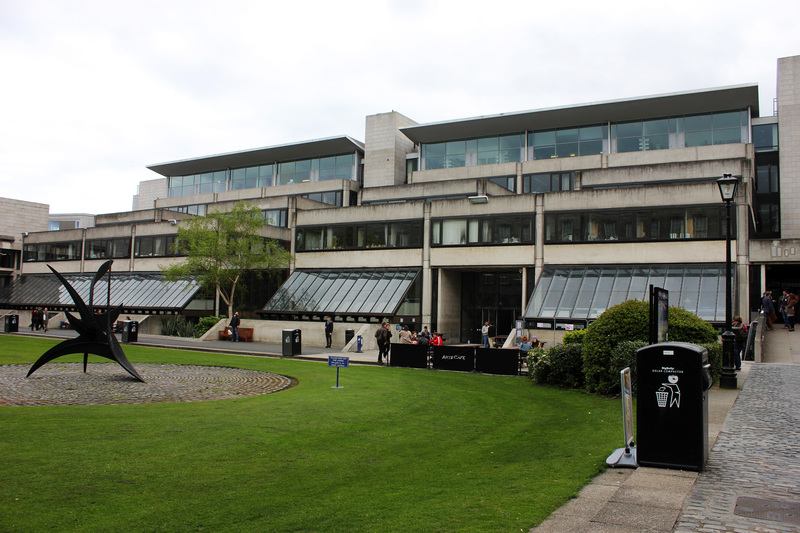 If your not a student of the college, it’ll cost you to get in, but it’s worth checking out (you can’t actually “check it out” of the library, obviously) the Book of Kells as well as other impressive, ancient collections in the beautiful library. 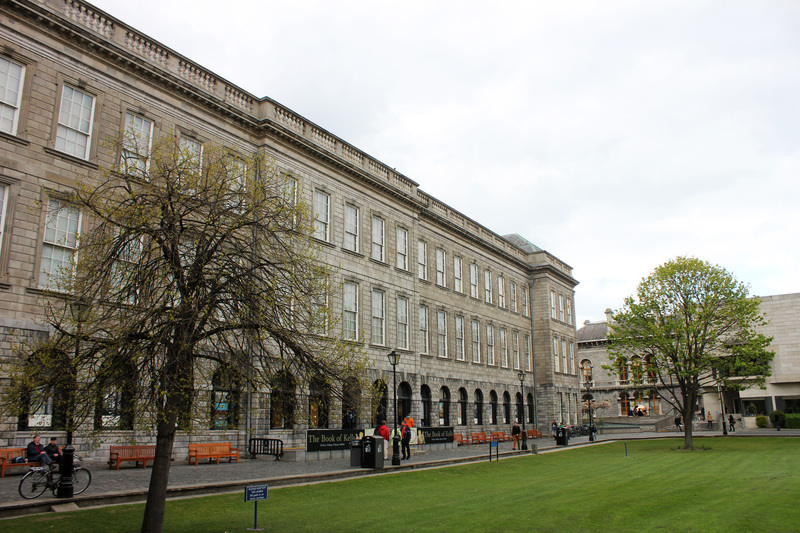 Fun Fact: the Old Library was digitally recreated inch-for-inch in Attack of the Clones (The university wouldn’t let George Lucas actually film inside). 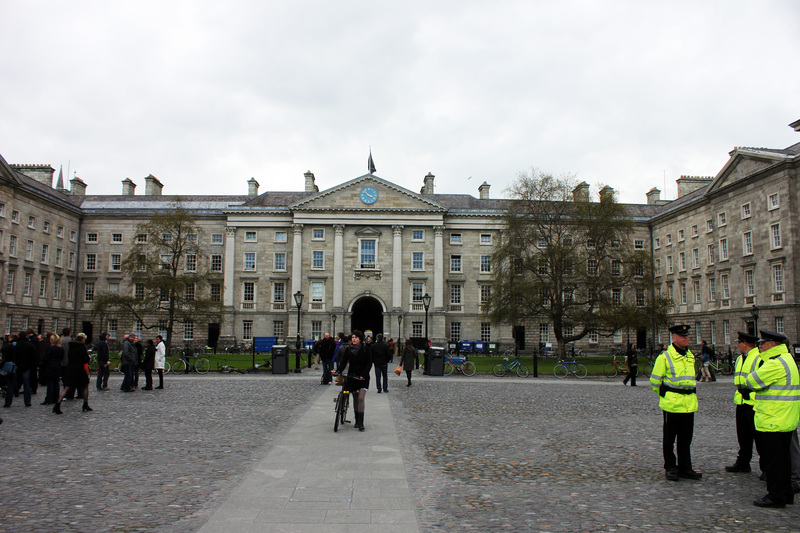 This entry was posted in Dublin, Ireland and tagged architecture, Dublin, europe, Ireland, photography, photos, Republic of Ireland, travel, Trinity College, University by Babak Haghighi. Bookmark the permalink.